The day didn’t start out very well. We planned to drive along the Los Gatos road again and take one more stab at spotting the elusive bobcat. After I put the directions into our GPS, we took off and drove for almost an hour before we realized we had taken the wrong turn. Tired from the already windy drive to where we were, Alan called it and decided not to pursue the other road. Instead we headed to Bakersfield. Along the way I thought I’d see if a Safelite AutoGlass center might be located in Bakersfield. It was, and I called the number. We were given a 1:00pm appointment to get the little ding in the windshield taken care of. Since we were in the vicinity, we drove to the center and checked in at 10:30am to let them know we would be ready when they were. To our happy surprise they took us in right away. About 45 minutes later the RV’s windshield was almost as good as new. 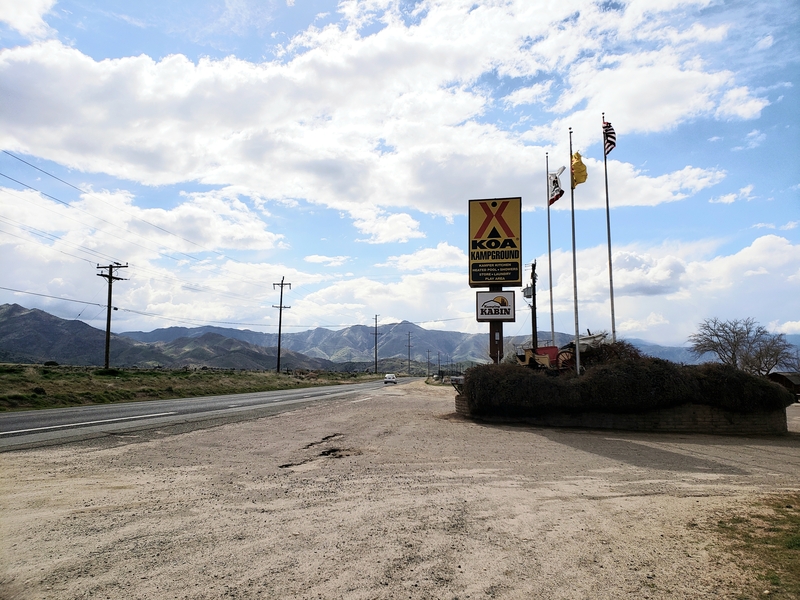 Since it was just about lunchtime, we stopped at a Mexican restaurant and had a very tasty meal before heading to the KOA at Lake Isabella.